Take the stress out of Heathrow parking with ACE Meet and Greet. Fancy adding a touch of luxury to your airport experience? Look no further than ACE Meet and Greet. Choosing this convenient valet package means you don't have to worry or spend valuable time searching for a parking space or catching a transfer bus with all your luggage. You simply need to drive to the terminal and a fully insured ACE driver will take care of your car while you stroll into check-in. This package truly lives up to it's name: ace! When you get back from your trip you can enjoy a speedy getaway as you don't have to catch a transfer bus back to your car, instead it will be conveniently waiting for you in the same place you dropped it off. ACE Meet and Greet offer an efficient, reliable service meaning you can enjoy a relaxing holiday knowing your car is in safe hands. Your car will be parked in ACE's award winning car park equipped with CCTV, perimeter fencing and regular patrols. 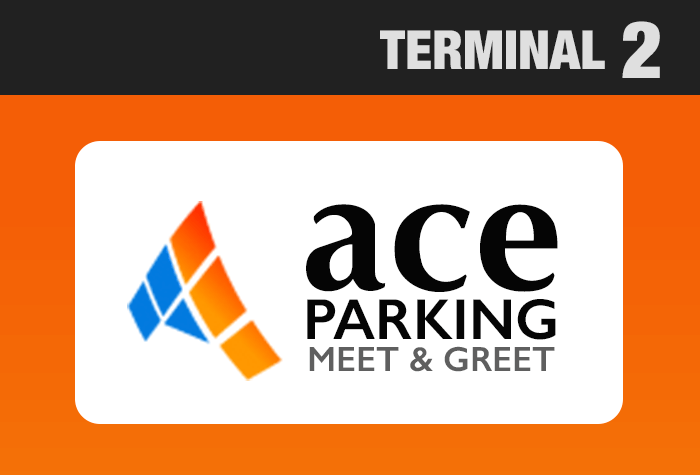 We booked meet & greet with ACE and although drop off went smoothly we had to wait 15 minutes for our car to arrive when we returned from holiday. The attendant informed us initially that car would be ready in 2 minutes and despite repeatedly asking where car was it did not arrive until 15 minutes later. We paid a premium for this service when we could have saved ourselves a lot of time and money by booking into a long stay car park where transfers take 10 minutes. Better signage in the car park to show how to get to the parking bays, as it was not clear. Our customers rated Ace Meet And Greet on average 7/10 (475 reviews). Read Ace Meet And Greet reviews. Your car will be dropped off and collected from Terminal 2. As the car park are constantly monitoring flights, they will return the car to the terminal you are landing to. ACE can only take cars that fit into a standard size parking space, which is 2.4m x 4.8m. You'll be charged extra if your car is too large. Minibuses and vehicles with 8 or more seats can't be taken for Meet and Greet services and will cost extra for other packages. To see if the car park can take your vehicle, call us on 0800 093 5478. Drive to the Short Stay car park to meet your driver - your confirmation will include directions and a postcode for your satnav.